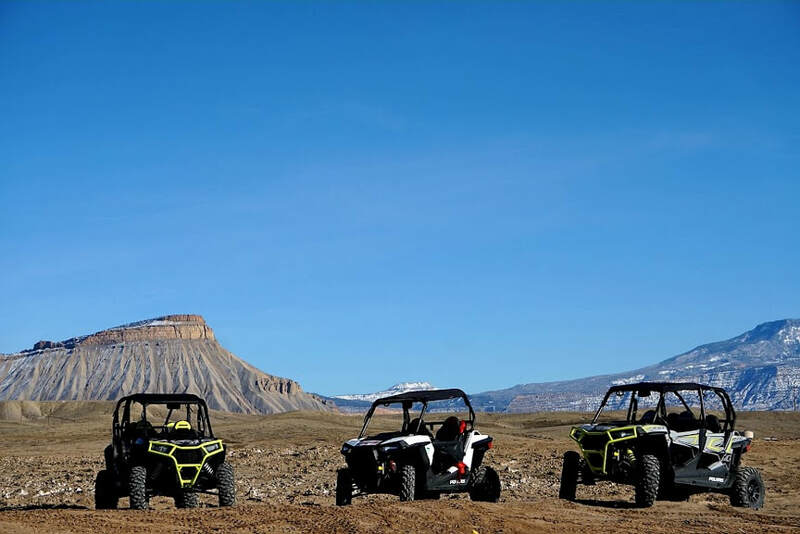 Adrenaline Driven Adventures' full fleet of 2019 Polaris side-by-sides are a whole new, first-class experience for outdoor recreation. Take up to 12 people on a U-Drive Polaris Driven Adventure, giving you control of exploring the epic 4x4 trails of Western Colorado. All Polaris vehicles are fully loaded with a touchscreen GPS unit, cooler with ice cold water, power steering, and more. Polaris vehicles lack nothing and are designed with your comfort in mind. ​*Tour prices are based per hour & per driver/passenger and are added to the cost of the rental. Pick your tour and select the vehicle of your choice below. ​This vast high desert offers adrenaline-filled roller coaster style looping hilltops that will amaze even the most fearless of your crowd. Exploring the North Desert trails will suit skills of all different levels of riding, from beginner to extreme trails. These trails take you to view some of the most breathtaking views within the Grand Valley; Mt. Garfield, The Book Cliffs, and Colorado National Monument and The Grand Mesa. From small roller hills to sandy wash crevasses, you will get to experience some of the steepest trails you could image. 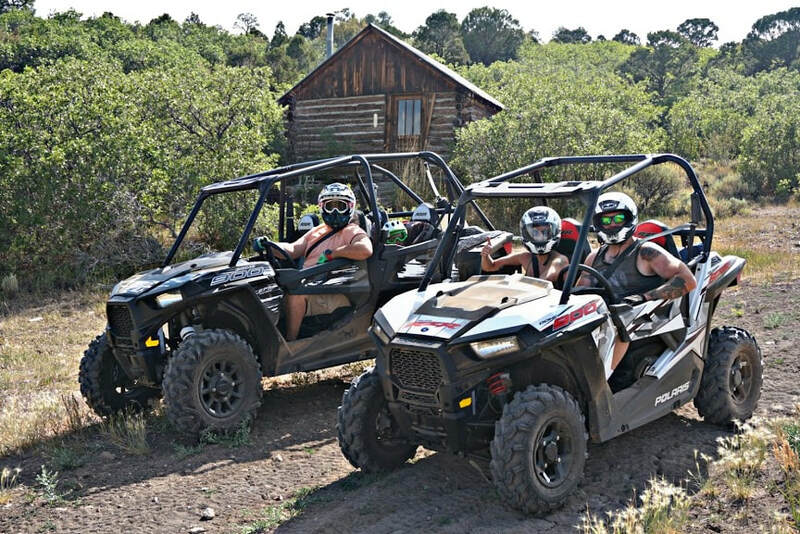 This location is our signature ride which offers you the fastest way to enjoy your Polaris RZR! Located within minutes from checking-in. ​​The trails of Cactus Park are for our sightseers of the Western Slope. These trails offer awe-inspiring, gasping views of the Dominguez Canyon and Uncompaghre National Forest. 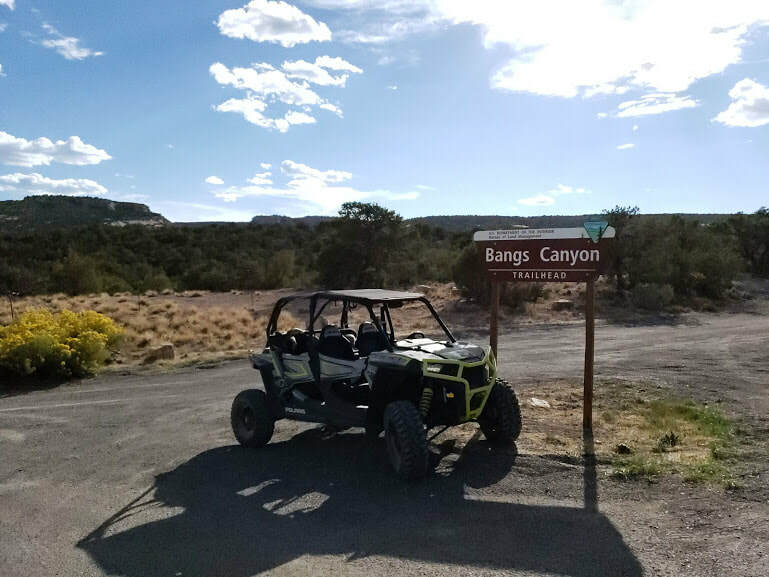 This location is perfect for the RZR enthusiast that is not trying to go too fast, as it is mountain terrain and consist of rocky narrow trails with sandy swooping stretches. If you're lucky, you might just see yourself a Big Foot, or Chupacabra!!! *This is a trailer location and will have to be booked 24 hrs in advance. Additional trailer fee will be added to final price. Rabbit Valley is the adventure your looking for to get off the beaten path and explore Western Colorado at its fullest! Located near the Colorado/Utah border, this large OHV area offers miles of desert trails that wind through sandstone formations. This trail system offers sandy stretches, steep rocky cliff sides, and stunning canyons that overlook the Colorado River! 24​Bangs Canyon and the Tabeguache Trail are some of the most famous trail systems this side of the Mississippi. Providing rocky terrain for the a crawling experience like no other! These trails are much like our neighbors to the west Moab, Utah. This trail will give the that thrill of flexing out your RZR and and climbing surfaces your never thought possible. This location gets you out of your comfort zone and lets your heart do the driving! Own a SXS/UTV/Dirt Bike and want a more hands on experience when exploring Western Colorado's trail systems this option is for you. Hire one of our expert SXS/Dirtbike guides to help lead you and your machine around our designated trail systems making you feel more comfortable on your adventure. Hourly and Full Day rates available. A private or custom tour or rental is one where the adventure is run exclusively for you. Whether you want a honeymoon for you and your spouse, quality time with your family, a few fun days with business partners or anything between we are here to plan it for you. You get to choose every aspect of your adventure, and our team of experts will arrange every element for you, taking the stress out of planning, leaving you to focus on having the trip of a lifetime. A private tour or rental is very flexible and personal, you can do everything in your own pace and time. CONSIDER THE WEATHER FORECAST WHEN PLANNING YOUR TRAIL RIDES. DRY AND HOT WEATHER WITH AFTERNOON THUNDERSTORMS ARE QUITE COMMON, BUT A CAREFUL, PROPERLY PREPARED RIDER(S) WILL ENJOY THE EXPERIENCE REGARDLESS OF THE WEATHER. CHECK THE WEATHER DAILY AND DRESS APPROPRIATELY. PROTECT YOUR HEAD, EYES, AND EXTREMITIES. LET SOMEONE KNOW YOUR TRAVEL PLANS AND SCHEDULE. HERE ARE A FEW COMMON ITEMS THAT ARE OFTEN CARRIED ALONG AS A PART OF AN ENJOYABLE TRAIL RIDE. WATER, NUTRITIONAL DRINKS, ETC. THINK HYDRATION. CONTAINER WITH FOOD AND SNACKS. REFRESH YOUR ENERGY. EYE PROTECTION – GOGGLES, GLASSES, ETC. TIE DOWNS. LEAVE NO TRACE. HIKING/OUTDOOR/CLOSED-TOE SHOES. GET OUT & CHECK THINGS OUT. MAPS & BOOKS. KNOW WHERE YOU ARE. © 2019 Adrenaline Driven Adventure CO, Inc.